Invest the time up front to get organized. It will speed up your job search in the long run! Just beginning? For those of you planning to begin a job search in the new year, and thinking you have to wait until January to begin work on your search, doing the things described in this article can help you plan and move into your search more quickly in January. Already searching? For those of you already conducting an ongoing search that has not gained much traction, or keeps falling short of getting the interview or the offer, you may spot some areas of "disorganization" that are holding you back. There is nothing as frustrating and time wasting as not being able to locate a critical e-mail or updated resume the nano-second you need them, such as when a recruiter unexpectedly calls during dinner and you can’t find the customized resume you sent to his company. Or you’re all set to leave for a meeting, and then you realize you can’t find the e-mail that contains the address of your meeting. 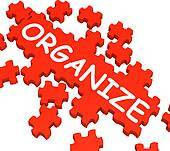 Getting and remaining organized in 7 key areas can help. So, begin at the beginning by setting up the supporting materials and tools you will need to conduct an effective search. Doing so will increase your efficiency, since you’ll be able to put your finger on things you need . . . when you need them, like resumes you’ve sent, e-mails you’ve received, and materials you’ve filed. It will speed things up. In just doing the activities involved in getting organized, it will help you think things through. This will pay off in enabling you to conduct a more focused, faster, and rewarding search. Although it may not feel like it as first, this time you invest up front in preparation of your work space and job search tools is the best investment you can make in your job search. Or, if your search is ongoing, and you continue to hit stumbling blocks that seem to derail your progress, going through these seven actions may help you spot the trouble spots. Establish your workspace. If finding a job is a job -- and it is -- establish and set up your office or work space as you would to do any job. In other words, set up a work space conducive to getting the job done! If you don’t have an actual office, I recommend that you carve out a space in your home, or facility available to you, that will be designated your office workspace for the duration of your search. It is yours and yours alone, so ask roommates, family, friends, etc. to respect your space. Your productivity will be higher and qualitatively better if you are not continuously setting up temporary work spaces, re-organizing, and endlessly shuffling through and searching for things. Office supplies -- Stapler, tape dispenser, paper clips, scratch pads for taking notes, color highlighters, desk file stands or trays for files, paper, envelopes, etc. A notebook -- or 2 or 3 -- that you take to all meetings to jot down information, as well as take notes during phone conversations. A notebook containing the notes of your communications, kept chronologically, will be a useful reference source to refer to for keeping on top of To Do’s, writing cover, referral, and thank you letters, and to refer back to when trying to recall information. While many choose to use a computer notebook, a pen and paper notebook come in handy to make a quick note, and are less obtrusive during a meeting. And it doesn’t cause the person you’re meeting with to wonder if you’re checking e-mail or Face book! Work examples / awards / certifications, etc. Make it comfortable. You’ll be spending time in your office daily, especially when you are just beginning your search and developing your marketing tools. So make it a comfortable space – one that you like spending time in. Confidentiality, as you “sell” your capabilities or negotiate compensation packages when talking with recruiters, hiring managers, and head hunters (i.e., executive search firms and employment agencies). Whether you are using a desktop computer, a laptop, or notebook, set up your computer to keep track of the information that will grow exponentially if you conduct a pro-active search. Initially, you can keep up with the e-mails and resumes you send to two or three or even a half dozen companies and organizations. But if you are conducting a very pro-active search, that will generate a lot of correspondence to respond to and information to keep track of. Set up your computer with file folders and label them correctly and specifically (Any paper files you set up should be labeled identically; this can be a good cross reference.) For instance, if you send a resume to a company, set up a file folder with that firm’s specific and correctly spelled name. Misspellings can get you tossed out of the competition before you even begin. All correspondence related to that company goes in that file folder. Remember, a file folder labeled Resumes Sent won’t be very helpful when you receive a call at dinner time from a recruiter, and you find yourself sifting through dozens of resumes it contains to find THE ONE you sent to THAT recruiter! A master resume contains your complete professional history, so put everything you’ve ever done on it. Go back to the beginning of your work history, and work your way to the present. NO ONE WILL EVER SEE IT BUT YOU, so don’t worry if it turns out to be a lengthy document! It will save you a lot of time and angst in the long run. Here’s why: Each resume submission for a job today requires customization for that specific job. Starting from scratch for each submission can take a lot of time. You begin to feel that all you do is write resumes, and justifiably so. Instead, use your Master Resume as a basis for all submissions. Here’s how to use your Master Resume: Copy it and paste it into the file of the company you are applying to. Then, delete from the resume any information that is not relevant to the job you are applying for. There are some non-job specific activities for which you need a resume. Attending job fairs, meeting with network contacts, etc. require a resume. So have one generic resume that represents you and your skill set overall. Then, after the networking meeting or talking with recruiters at a job fair, customize your resume in relation to the needs expressed by each of the people you met with, and re-send it to them. You’ll be writing lots of letters. Cover letters, thank you letters, referral letters, letters requesting information or assistance, etc. As you develop letters that seem to work well in generating responses, insert 1 or 2 of your best into this folder and keep them as templates for future correspondence of each type of letter. It will save you lots of time in the long run. Develop and keep a few copies on hand of your Marketing Plan. While its primary purpose is to give you both long-term and daily direction aimed at achieving your goal, it is also a helpful document to take to networking meetings. Viewing it will provide your contact with a quick overview and clarification of your interests, job search activity, and goal. As a result, they will be better able to assist you. Set up a folder named for each company you target and apply to. Have a name to send a resume to when you apply for a job in their firm. Have an inside company contact you can keep updated on your activity. Keep track of associations you find useful. They may have meetings that are informative, a website with great content, helpful people on the help desk, and / or conferences that attract top names in your field who present state-of-the-art knowledge. These associations provide you with an opportunity to meet key people in your field. Keep good detailed files from conferences you choose to attend. The networking alone can justify the cost. When the conference is over, get and stay in touch with contacts you’ve made, both presenters and participants as well as conference staff. This generic catchall file is a good place to store information you deem to be helpful and that may come in handy for purposes such as writing a letter to a target company, preparing an answer for an interview question, researching folks you anticipate meeting, ensuring your terminology is current and correct, etc. Your phone becomes as important a management and organization tool as your computer when it comes to searching for your next position. It also serves as a marketing vehicle for you via the voice mail message folks hear when they call you, as well as messages you leave with people you call. Most people today operate off of their cell phones. However, some people maintain both a cell and land line. It’s your choice which you prefer to use. But whichever you choose, make sure it is a reliable phone that you can depend on to receive calls, get messages on a timely basis, make calls, and comfortably talk with people. If you have a phone or phone service that drops calls, or use VOIP and are sometimes hard to hear, figure out an alternative. Having to repeat what you or the caller is saying repeatedly gets annoying, and recruiters, hiring managers, and network contacts may just give up after a while. A good, reliable, clear phone service is one place it makes sense to invest some dollars. Your next job may depend on it. Choose one phone number. To avoid confusion and lost opportunities, settle on one number that will become the primary phone number you give to people during your search. It should appear on any of your correspondence as well as your personal-professional business card. Consider using Google Voice or a similar service for your job search if you'd like to keep your cell phone number private. Using this type of service also lets you know that an incoming phone call is related to your job search. To further avoid lost opportunities, inform family members or friends that during your search this is the phone and the number you have designated for your search. Solo phone service: If your phone is used by you and you alone, this becomes a non-issue unless someone else may answer your phone occasionally. If they do, ask family and friends to answer politely stating that the caller has reached you (have them state your name), but you are not available, and may they take a message? Shared phone service: If you share a phone with other family members or friends, inform them that you will be receiving lots of calls during your search, and that how the phone is answered is critical to your success. As stated in the point above, ask family and friends to answer politely stating that the caller has reached you, but you are not available, and may they take a message? Suspend the antics of the family jokester who answers the phone with fun greetings like “Joe’s Bar and Grill” until your search is over. And, work out a method to ensure that you receive your messages. Keep it professional. Phones today can do all kinds of things, and it’s cool to have a phone whose ring tone is fun and a voice mail message that is even funnier. However, this tool needs to work for you . . . not against you. Minimize the chance of annoying or even offending people by keeping it professional. Ring tone. 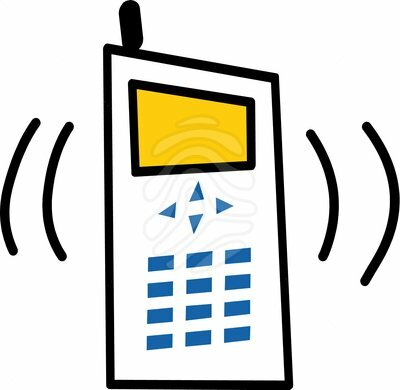 A jarring or outrageous ring tone may be fun, but not when it goes off during an association meeting, conference, networking meeting, or interview. Remember that people are judging your professionalism from any contact they have with you, and, in many cases, are judging you with little actual knowledge of who you really are. So, don’t give them an excuse to eliminate you from their network or from the candidate pool. Set a ring tone that is simple. An old-fashioned phone ringing sound will work just fine. Your full name - Recruiters and HR folks respect your confidentiality and will not leave a message if they are not sure they have reached the right person – you. For additional clarification and confirmation that they have reached the right person, some job seekers also state their phone number as part of their voice mail message. That’s fine, but don’t leave a number in place of your name. So state your name so they know they have reached you. The action that you will take: You can assure them that you will return their call as soon as possible, or provide a time frame such as within 24 or 48 hours, etc. Any additional relevant information. For instance, if you will be out of the office for an extended period of time, relay this information and some idea of when you expect to be returning calls. “John Smith speaking.” Importantly, this assures the caller that they have reached the right person (important to recruiters and HR folks to whom confidentiality is important). The caller will then generally jump in and tell you why they’re calling. However, you can also add a phrase after your name, such as “How can I help you?” if it would make you feel more comfortable if this formality is a little uncomfortable. Check it! You’ve gone to a great deal of effort to professionalize your phone image. Call yourself and see how your message sounds. Change it if it’s not clear or not quite right. 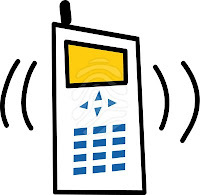 Check your voice mail 2 times a day, at a minimum. All of this work and preparation is for nought if you forget to check your voice mail and miss important messages. Recruiters, and even network contacts, will call 2 or 3 times, and, if unsuccessful in reaching you, move on to the next candidate. Return calls as you said you would in your voice mail message. It’s important: Do what you said you would do in your message; doing so shows your professionalism. Not doing what you said you would do detracts from your image and credibility. correspondence is still done, primarily your correspondence is going to be carried out through e-mail. As with your phone, e-mail also serves as a very important marketing tool via the image you project and the impression you make when one of your e-mails shows up on a recruiter, hiring manager, or network contact’s computer. As with your voice mail message, the reader makes an instant judgment about you and your professionalism, seriousness, educational level, and capabilities based on what they see when they receive and read your e-mail. Misspellings and typos – especially the recipient’s name or company name, hard to read text, inappropriate images or words, inappropriate tag lines, etc. don’t reinforce the fact that you are serious about your job search and a professional they might like to work with. Choose one e-mail address. To avoid confusion and lost opportunities, use one e-mail account for all of your job search correspondence. All of your job search correspondence should occur only on this account. Doing this lessens the chance for missed opportunities because all your job search-related e-mails go to one place. It makes checking your e-mail a lot easier too. Create an e-mail address which is easy for folks to remember, or even figure out, if need be. Use your name. Add a number(s) if the version you want is not available: StephanieGeorge@gmail.com or HaroldSmith4@gmail.com. Your e-mail address, like your phone number, should appear on any of your correspondence as well as your personal-professional business card. Consider getting a new e-mail address if you're using an older e-mail service provider. A big advantage of E-mail is that it provides you with an avenue right into the offices of network contacts, target companies, associations, conferences, etc. Think about it -- You don’t even have to drive to their office and knock on the door! It’s an ideal entree. Learn to write a professional e-mail. It should be clear, correctly spelled, grammatically correct with correct punctuation, and to the point! Save the popular abbreviations of words for your text messages. Spell out the words correctly and in their entirety in your job search e-mail correspondence. Don’t take shortcuts. Assume your e-mails may be forwarded such as in the case of a referral. All of your e-mails to contacts and companies need to read like professional letters. If business English is uncomfortable or unfamiliar, or English is not your first language, find an editor. Set up an arrangement with a trusted confidante to read and review your e-mails and other written materials you produce to ensure they are correct. Learn from what they tell you to do, and consider taking a course in business English. Address the recipient. The typical address, or salutation in a traditional letter, is: Dear Mr. Smith or Dear Joan. While some may choose to begin with “Hello Sam” or “Hi Sarah,” traditional and conservative keep you safe. When it comes to job search, err on the side of the conservative and traditional, until invited by the firm or contact to do otherwise. First Paragraph: State your purpose for writing in Paragraph 1. If you are unknown to the recipient, briefly introduce yourself by name, profession, and if a referral to them, mention the name of the person who referred you. That in and of itself will get your e-mail read. Paragraphs 2 - 4: The body of your e-mail containing relevant content. For example, in a letter to a recruiter, you will want to list some key qualifications, possibly an example of your stellar work performance, some key accomplishments, and a statement or inference that your abilities could benefit the recruiter’s firm. Last Paragraph: State your goal in writing to them. For instance, with a recruiter or hiring manager, your goal is a meeting, opportunity to talk, or interview. With a network contact, it’s a meeting. State that you will look forward to hearing from them, but that you will also follow-up (and state when if appropriate.). Closing. Close you letter with a standard closing. Close with Best regards, Best, Sincerely, Sincerely yours, etc. and follow with your first name, or full name if more comfortable, underneath. Your full-name. If you go by a nickname, write your full name and insert the nickname in parentheses: Robert (Bob) Cannfield, PMP, MBA. Add titles you normally use after your name. A generic title for your discipline: Field Engineer, Administrative Assistant, Security Analyst, Management Development, etc. This also subtly tells the recipient of an organization you target that you perform the tasks of the type of work their firm does. Phone number. This is your primary phone as discussed earlier. E-mail address. Yes its part of the e-mail itself, but it’s helpful to the recipient to have all of your contact information in one place to make it easy for them to contact you or add you to their address book. Additionally, if the e-mail is copied or printed, sometimes content gets lost. LinkedIn url. LinkedIn is considered to be the social media forum for professionals. If you have a LinkedIn profile (unless you are in a field which does not allow it), you may personalize the url to a shortened version of your name. Contacts and companies are going to look you up On LinkedIn when they hear from you. So have a good representation of your work and professional activities on your LinkedIn page. Your own website. Some job seekers choose to create a website for their search, showing their job search marketing materials. It can be a very effective vehicle to show more detail about your work, your approach to work and tough assignments, etc. However, word to the wise: If you create a website, keep it current. Check it! You’ve gone to a great deal of effort to professionalize your e-mails. You have a template for your signature and know what a professionally written e-mail should look like. Send a test e-mail to a friend or trusted confidante to check your signature and also see how your e-mail appears on the page. While an e-mail may look fine on your computer, it may translate differently so check it before you send any. Check your first few e-mail letters that you intend to send to contacts or companies by first sending them to a friend or trusted confidante to see how your text appears on the page. Ensure the type is a readable size, there is space between paragraphs, and white space sets off your text. Create, or revise, your job search marketing tools. To many job seekers, this means only a resume, which no one would argue is an important marketing tool. But your marketing tools go way beyond a resume. 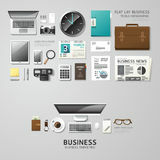 It is only 1 of 6 of what I consider to be basic marketing tools, and not even the one you will actually use the most! (3) Sell customers, i.e., companies, on what you can do for them. If you are prepared with the basic set of tools, you can do all three. With the basic tools prepared, you can hit the ground running, and not lose traction because you haven’t thought things through. With the basic marketing tools in hand, you have what you need to begin your search and to be able to handle any of the things that come your way and manage an effective job search. You won’t find yourself stuck or unsure of what to say or do. Your professional portfolio, comprised of samples of your work, is both another critical management as well as marketing tool. Why? A portfolio allows you to put your money where your mouth is! It enables you to show proof of what you say you can do. All job seekers make claims about their capabilities, professional experience, and results they’ve achieved. But few show any real evidence to back up their claims. A portfolio allows you to get ahead of your competition by showing evidence of your claims. Assembling materials in an attractive format, such as a presentation binder or case, provides employers with greater certainty that you’ve done what you said and could do great things for them! Developing a portfolio will set you apart. It’s a real competitive advantage. So, take the time to set up a portfolio (in a case or binder), or develop an electronic portfolio. Your portfolio may also include these work examples on your LinkedIn profile. Question: How much does it cost to run your household or lifestyle? Answer: Find out, before you start your job search. Why is this important? Certainly, the obvious answer is that you need this important number in order to operate your life and household in a financially responsible way. Any financial coach would tell you so. But, there’s another reason why this number is important, solely related to your job search. And, it is this: You need to know your true bottom line in order to negotiate your job offer’s salary or compensation package. First, you need to know how low you can go and still operate your household and conduct your job search. Having a general idea of what you need to run your household is not nearly good enough. You need to know precisely what it costs. The number below which you CAN NOT go is your bottom line or line in the sand. Many job seekers believe that their immediate past or current salary (if they are employed) is that number below which they can not go. IT IS NOT! Sometimes an opportunity may come along that is lower than your salary and that, in and of itself, isn't a reason NOT to take it! If you run a really pro-active search, many opportunities will come your way. While many pay above your past or current salary, some really interesting and enticing jobs may pay below your current or immediate past salary. That alone is not a reason not to take them. Why? Because some of these positions that may require a brief dip down in salary NOW, in order to move ahead in your career in the FUTURE. This can be well worth it, if you can afford it. But how will you know if you don’t know your true bottom line? Without a precise knowledge of your current financial situation, you really don’t know if you can afford a salary dip in the short term in order to realize a higher salary in the long term. Second, you need to know your true bottom line for negotiating salary increases. Doing your homework to find out what your capabilities pay in the marketplace will give you an idea of what a reasonable salary increase might be for your new job. Then, taking into consideration your financial goals for the future and what it will take in income earnings over your projected remaining years of work to achieve them, will help you figure out what your desired optimal increase would be. And it will help you ask for it with more confidence because it is based on real calculations.. Obviously keep it reasonable. But, you will negotiate more powerfully and from a point of strength when you know what your goals are, what you want, what is attainable and reasonable, and what number you can not go below. Travel to meetings – gasoline and other car maintenance expenses, public transportation fees, tolls, etc. (2) What you can’t, and where you can make cuts or trade-offs in your spending. Beginning at the beginning by taking Action, as described in Actions 1 – 7, sets you up for success. By way of doing the work of getting prepared and getting organized, you’ll actually feel more confident, capable, and in control – all qualities sought by employers in their employees -- and you'll show it too! It just makes good sen$e! And, it will pay off in enabling you to conduct a more focused, faster, and rewarding search.